In this English lesson you will learn some of the main words and expressions we use in English when we talk about towns and cities. The vocabulary in this lesson will be useful to you if you are preparing and exam like IELTS, First or Advanced. I live in a small city on the outskirts of a very big city. My city is known as a dormitory town or city as many people that live here commute to the bigger city to work. Every morning I wake up, have breakfast and catch a train into the city centre or downtown. This commute takes me about 45 minutes. I work in the CBD (Central Business District). There are many companies in the area and many people working. The CBD is not a residential area. Not many people live there. There are mainly offices, restaurants and coffee shops. It is a built-up area. The city is surrounded by two main freeways. There is an inner-ring and an outer ring. Houses in the inner-ring are a lot more expensive. Many people cannot afford to live in the city downtown anymore. They often live in residential areas on the outskirts of the city. There are many new housing estates in these areas and many gated communities as well. These are communities that have high levels of security to protect the people that live in them. Council estates are also quite common in my city. These estates are for people that cannot afford to buy there own house or apartment and need the government to provide housing for them. There are many areas in cities nowadays that are not very nice. We call these areas slums and ghettos. Basically, for many people they are no-go areas. Another aspect of modern cities are shanty towns. These are usually slums on the outskirts of cities where people live in bad conditions. They may not have access to running water or electricity. Crime can also be a problem in these areas. 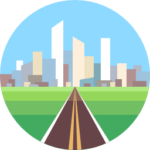 Wastelands are also common in big cities because the economic activity of the area may change. Detroit is a city with many wastelands because the car industry is not as strong as it used to be. Neighbourhoods that were once vibrant communities have become barren wastelands as people abandon their houses in search of opportunity. Anyway, that's all I have to say on the topic. Time for me to go back to suburbia. Click here to watch another English lesson that you might enjoy. 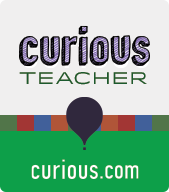 I have many interactive lessons available on curious.com. Check them out. You can find a discount link here. If you like my lessons and want more, please consider buying me breakfast. I can't work on an empty stomach. And please share the lesson with your friends.